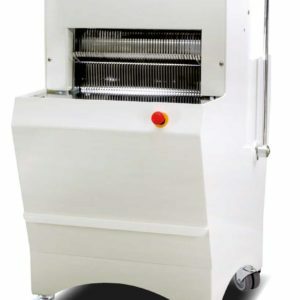 Description: The Chute is an ingenious machine designed for the continuous slicing of sandwich loaf bread. 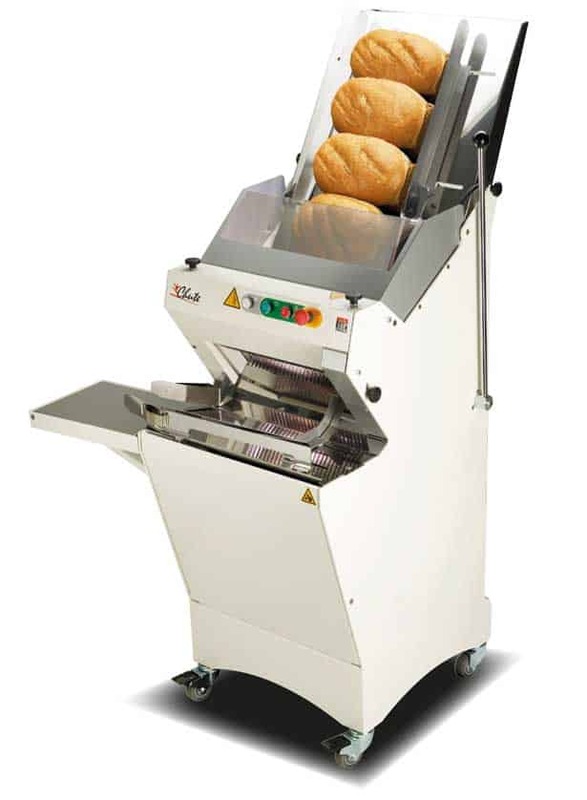 The slicer operates on the basis of a gravity feed system (the weight of the loaves placed in the slicer creates pressure on the blades) and its feed chute is able to hold 5 to 7 identical loaves. 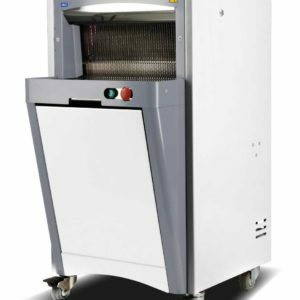 Available with a slicing width of 45 cm and fitted with an ergonomic crumb collector. As an option, the Chute can be fitted with a foldaway bagger-blower for even greater productivity.